The next challenge is the total abolition of animal testing in cosmetics at ingredient manufacturers and suppliers. 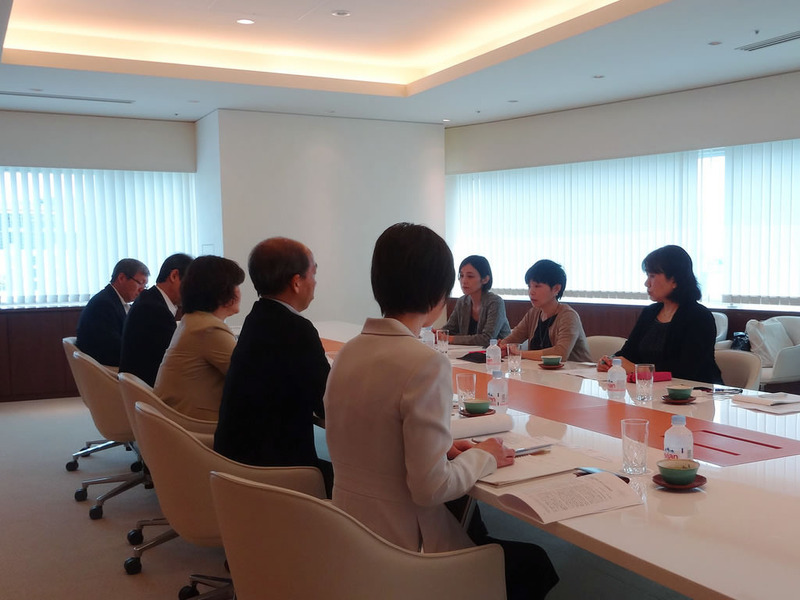 On 22 June, we the executive committee of the “Cruelty Free Beauty (CFB) “campaign (*1), made up of three animal protection groups in Japan, had a meeting with the managing executive officer of Kao Corporation, which has No.2 cosmetic market share in Japan, and five others including executive officers from Kanebo Cosmetics Inc., at the head office of Kao. Kao Group companies do not conduct and do not plan to conduct testing with the use of animals as well as outsourcing of such testing, for the development of cosmetics (including quasi-drug) products. Kao Group announced “Kao Group’s views on animal testing in cosmetics” at its website in April this year. Kao Group, including Kanebo Cosmetics Inc., has abolished animal testing in the development of cosmetics and quasi-drugs (*medicinal cosmetics), even in cases where applications for approval of quasi-drugs (*medicinal cosmetics) containing new ingredient are required under the pharmaceutical affairs law, or where amendments to the cosmetic standards are enforced. Among major Japanese cosmetic companies, Shiseido Co., Ltd., Mandom Corporation, KOSE Corporation, POLA/Orbis, MENARD, and Noevir Co., Ltd. had already announced their abolition of animal testing. And this time, Kao, ranking second in the country, finally followed suit. However, Kao has set conditions for exceptional circumstances where animal testing is to be conducted, such as exports to China, where imported cosmetics are subject to animal testing, and investigations into the causes of accidents involving cosmetics if such accidents take place, and this is similar to measures taken by the other major companies which have already announced their abolition of animal testing. In fact, we have learned that animal testing as well as funding for it is currently being carried out for the research to pin down the cause and treatment of the leukoderma accident involving Kanebo, whose research organization has been integrated with Kao. Despite such exceptions, it is worth noting that Kao has given up the development of new ingredients, which is a particularly hard decision for a major company to make amid intense competition, and that the entire Group has shared and announced its policy. We acknowledge and welcome this move. Meanwhile, as we have been urging major cosmetic companies to make decisions to “stop conducting animal testing at their own facilities” and to “stop outsourcing animal testing”, the issue of animal testing at ingredient manufacturers and suppliers has been emerging as a new problem. In short, if ingredient manufacturers are conducting animal testing on ingredients used for products manufactured and sold by cosmetic companies despite that the cosmetic companies as consumer goods manufacturers declare that they have abolished animal testing, it is hard to say that their policy of not conducting animal testing is functioning properly. We consider that the policy functions only if it is extended to, shared by, and complied with by the entire supply chain including ingredient manufacturers and suppliers. Thus, the CFB have requested that Kao Group should formulate new guidelines on the procurement of ingredients, taking animal welfare into consideration through reduction/abolition of animal testing and use of alternative testing methods, and thereby contribute to animal testing-free practice throughout its supply chain.